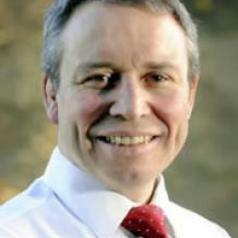 John McLellan is the former editor-in-chief of Scotsman Publications. He edited The Scotsman for three years, between 2009 and 2012 and before that was editor of the Edinburgh Evening News (1997-2001 and 2005-09) and Scotland on Sunday (2002-2005). Prior to that he was deputy editor of the Edinburgh Evening News, assistant editor of The Journal, Newcastle-upon-Tyne and sports editor of the North-West Evening Mail. He was a member of the Press Complaints Commission (2008-2012), the Defence, Press and Broadcasting Advisory Committee (2006-12) and was twice chair of the Scottish Newspaper Society's editors' committee. At the Scottish Press Awards he twice received the Newspaper of the Year award, in 2006 and 2012. He graduated from Stirling University in 1983 with a BA in English and film & media studies and went on to study journalism at Preston Polytechnic. John has been a visiting lecturer to the media studies department for many years and was appointed honorary professor in 2010. He formally joined the department as a member of staff in 2012 following his departure from The Scotsman, when he also was appointed director of communications for the Scottish Conservative Party. On leaving the Conservatives in 2013 he moved to his current position as director of the Scottish Newspaper Society. He also works as a newspaper columnist, with his work appearing in the The Herald, Edinburgh Evening News and Sunday Times.